Are you working on a project involving removal of non-compliant building cladding? The dangers of aluminium composite panel cladding material were dramatically highlighted last year with the disastrous fire at Grenfell Towers, London, that took the lives of 72 people. However, this issue has been known in Australia since 2014, when the Lacrosse building fire in Melbourne raised concerns about the suitability of the material. 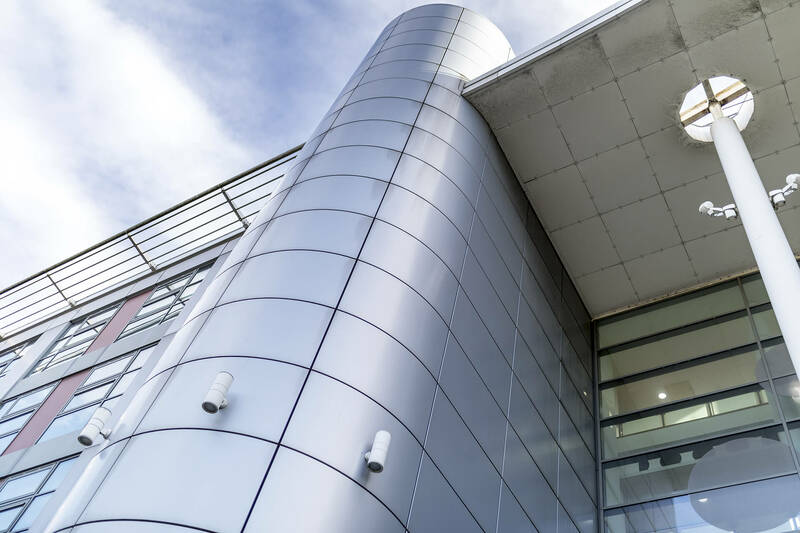 Aluminium composite panels (ACP) were introduced in the 70’s as a ground-breaking material. Originally designed for signage, its lightweight construction, versatility, durability and clean look meant that it was quickly adopted by architects and designers throughout Australia and the world in general. This original version of ACP was made with a thin layer of aluminium over a core of polyethylene (PE), known as ‘black core’ due to its colour. Unfortunately, what appeared to be overlooked at the time was its combustibility. When heat is applied to the aluminium outer layer, it can deform and expose the flammable PE layer within. Having this combustible material on the outside of a building creates an easy path for fire to travel between floors, which is considered the major contributing factor to the disaster in London. Since then, other ACP materials have come onto the market, namely fire resistant (FR) ACP and Solid Aluminium ACP. Both of these have much better flame resistance ratings; however, they are considerably costlier which kept the PE ACP in use until 2013. Unfortunately, it is almost impossible to tell the variants apart from a visual inspection. The first step to take if you are unsure of the construction of your building is to have the material tested to confirm what type of ACP it is. While there is no current requirement to replace non-conforming or non-compliant building products, legislation has been put into place requesting building owners undergo inspections of their facades. It is also important that you are aware of the risks and impacts on other services such as insurance. Once any at risk ACP has been identified, a considered next step is to evaluate the risk associated by having the material evaluated by a fire protection professional. Pending the outcome of this evaluation, remedial actions may be justified due to the risk to building occupants. A complete replacement of non-compliant material may not be required in all cases. Depending on the quantity and configuration of said material, alternative solutions may be agreed upon by building regulators, fire authorities and fire safety engineers. When it comes to remediation works, Aluminium Access Systems has the scaffolding and swinging stages to suit almost any situation. Given the versatility of ACP, it is often found in odd, non-sheer walls where regular scaffolding may not allow complete access. With our range of aluminium scaffolding, we can get into these tighter spaces and our adaptable swinging stages can conform to many shapes. Before you start any work, give us a call on 07 5534 6066 to arrange a free quote.